18 tall and 12 diameter. Skins are goat and bound with gut. 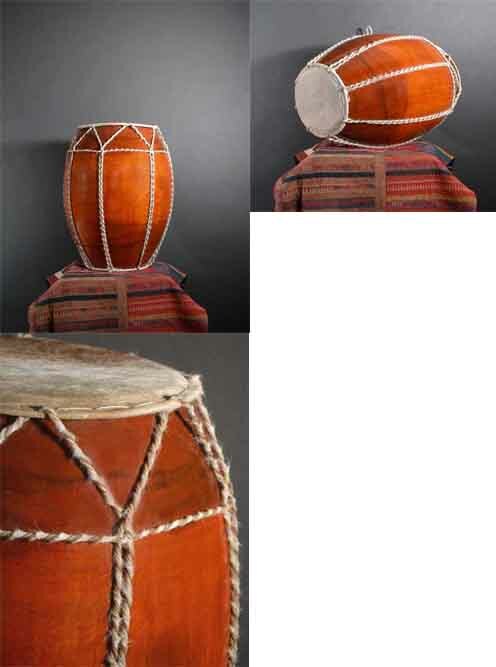 Drum body is made from the hollowed bulb of a coconut tree. Beautiful Hand Crafted Drum With A Loud, Rich Sound from Both Ends.